Of all our favorite 80’s flicks, few are as quintessentially L.A. (specifically, L.A.’s San Fernando Valley) as The Karate Kid. But how much of it was actually shot in the Valley?! 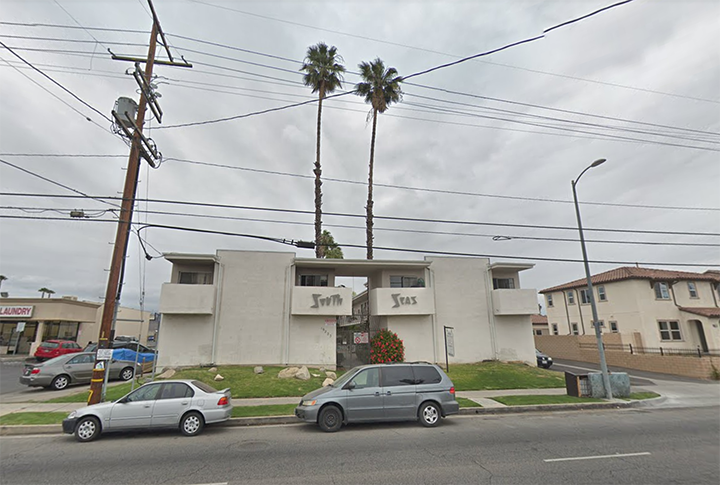 (19223 Saticoy Street, Reseda) “This place is a dump. You should go back to New Jersey!” The little lady in the courtyard advises Daniel that he and his mom surely could have picked better on their big move out west, though truth be told the South Seas apartments are pretty stereotypical of mid-century multi-unit dwellings in L.A. (I’ve had British friends remark on my own courtyard building w/ a pool by saying “It’s so Karate Kid!”) What’s more, this complex purported to be in the town of Reseda in the movie actually is in Reseda! Right next to a garden-variety strip mall with a 7-Eleven and a nail place. Tubular, man. The South Seas is definitely in need of some major landscaping work these days – most of the palms that decorated the exterior in the mid-80’s are now gone – and maybe a good paint job, but it’s still standing. (p.s. if you visit this one, be respectful, people do live here!) It made a brief appearance in the YouTube follow-up series Cobra Kai, too! 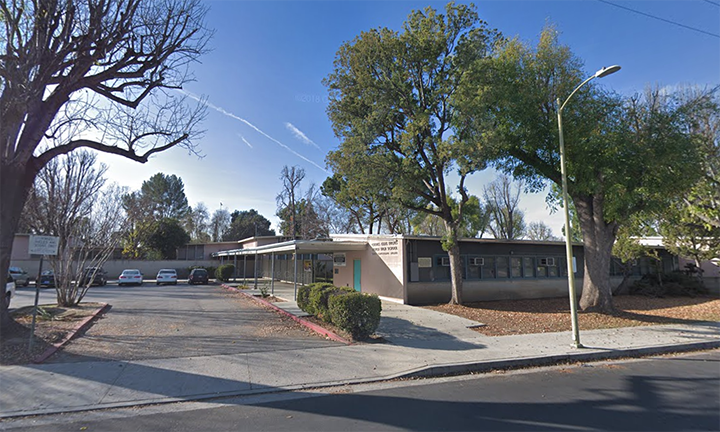 (10555 Firestone Boulevard, Norwalk) When Avildsen & Co. were looking for the ideal place for Daniel to take Ali on their first date (Miniature golf! Arcade games! Go-karts! 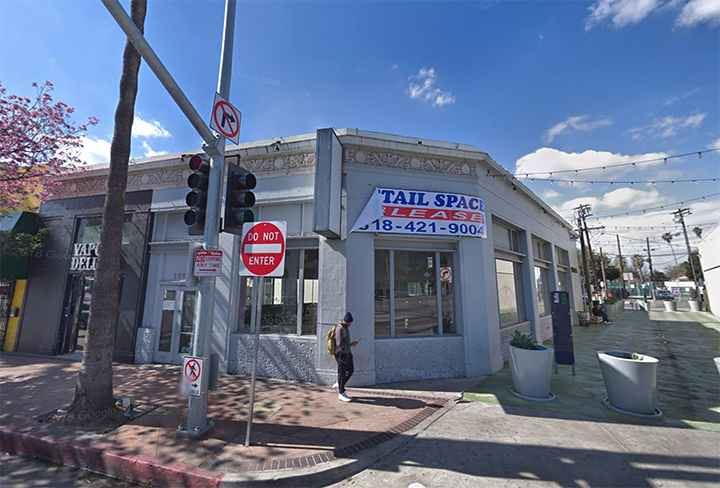 ), well it turns out the most picture-perfect family fun center he could find was not in the San Fernando Valley. 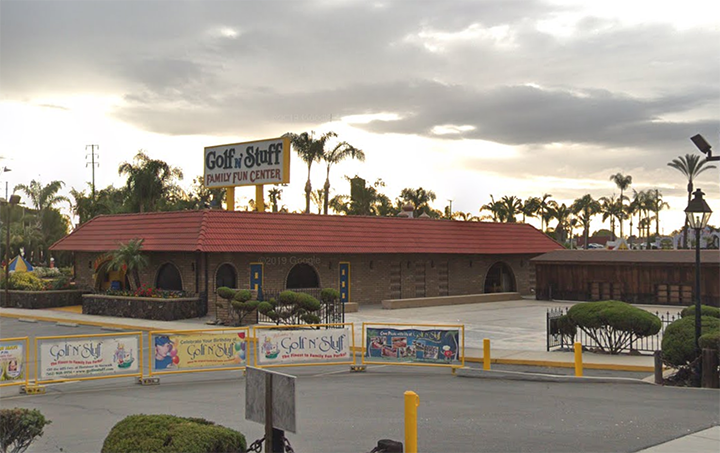 Golf N’ Stuff sits right off the 605 freeway – over 40 miles away from Daniel’s apartment building – in the town of Norwalk, south-east of downtown Los Angeles. 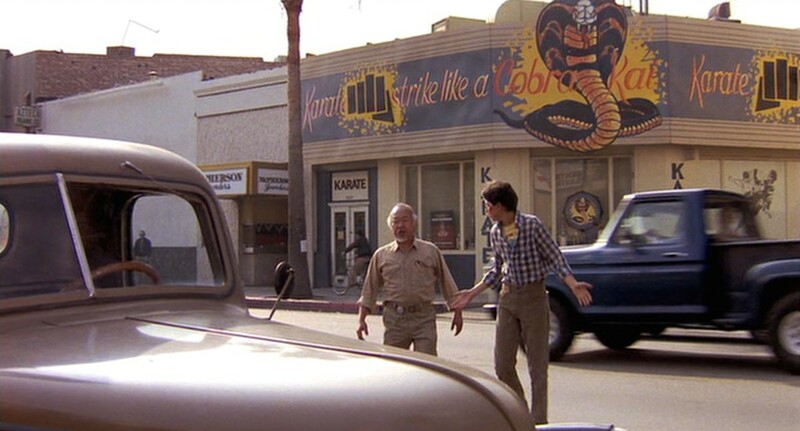 Now while this location may not be in the same region of the city as the rest, it has stood the test of time and looks remarkably the same as it did when they shot The Karate Kid, from the lush banks of palm trees to the big neon-backed sign above the door! (But is “Pizza N’ Stuff” still serving? That’s what we want to know. 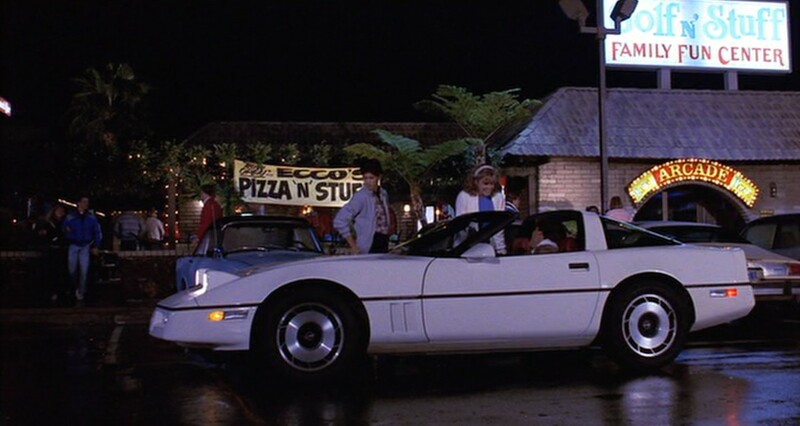 We’re hungry…) Golf N’ Stuff also turned up on Cobra Kai‘s first season. 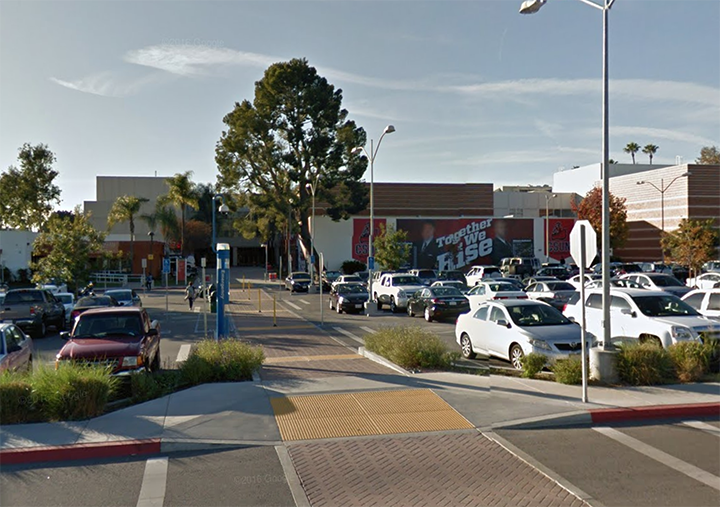 (Matadome @ Cal State Northridge, 18111 Nordhoff St., Northridge) This is the place! The big match! When Daniel gets to prove that he’s the best!… arooo-ooound!… nothing’s ever gonna keep him down! Virtually every part of the All Valley Karate Championship meet – including the front concourse, the locker rooms and of course that action-packed arena where the crane kick heard ’round the world went down – were filmed at the Northridge location of California’s state university, home of the Matadors. It’s a decent-sized campus, so bear in mind that the main address on Nordhoff Street isn’t the closest reference point for this location; if you want to get that shot hoisting your championship trophy in the parking lot, head to the northeastern corner of campus, just off of Matador Road. We’ve got a super sweet Karate Kid item in this month’s Loot Crate DX as well as some wearables in Loot Wear! Sign up by 4/19! Next article Video Vault: Nolan North and Troy Baker play Golden Axe on Retro Replay!